The crazy three-month campaign and what to expect. Israelis go to the polls this Tuesday, April 9, electing a new national government. As the only American-style democracy in the Middle East, Israelis are a universe apart from all their border neighbors. And you can bet your farm and life savings that Israel has built big, beautiful border walls — and they work! To the north in Lebanon, Israel borders with the insanely terrorist Shiite Muslim Hezbollah. To the northeast, on the other side of Israel’s Golan Heights, the butcher Bashar al-Assad and his Forever-Civil-War lurk, replete with poison gas attacks on his population, his five million refugees scattered throughout Turkey and Europe, Iranians trying to embed weapons and manpower, and assorted cutthroats all vying for pieces. To the south, the Hamas terrorist government that now consumes all of Gaza. To the east, the so-called “Palestine Authority,” headed by the lifelong terrorist Abu Mazen (aka Mahmoud Abbas), a Holocaust denier and dictator who now is in the fourteenth year of the four-year term to which he was elected in 2005. Butchers, murderers, the whole lot of them. Indeed, the “Palestine Authority” even pays lifetime annuities and bonuses to families of convicted terrorists who have murdered or detonated a bomb somewhere. Until President Trump closed that spigot, America helped pay for those Pay-to-Slay terrorist annuities. Now only the decadent European Union pays for it, as the cowards who head those countries are at the mercy of Arab Muslim swing voters at home. The outgoing government fell, primarily over two disputes. In one, Defense Minister Avigdor Liberman of the mostly Russian/Ukrainian-immigrant small party he founded grew disgusted that Prime Minister Benjamin (“Bibi”) Netanyahu’s government was not hitting harder at ongoing Hamas terror strikes and missile attacks emanating from Gaza. 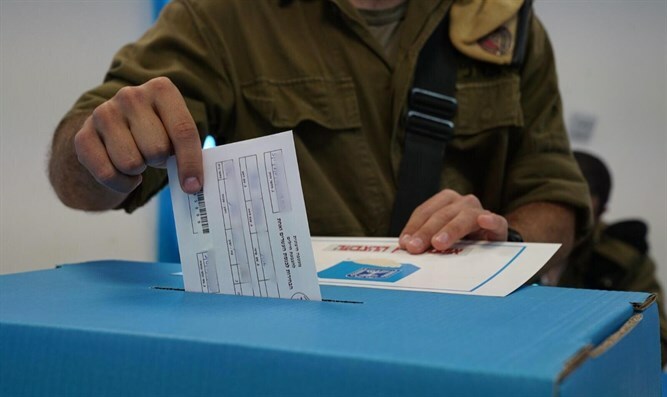 The parties in the prior coalition also could not agree on the divisive issue of exemptions from military service granted to full-time adult yeshiva students. Most Israelis, even his detractors, give Netanyahu high marks for understanding security issues and strengthening Israel’s position on the world stage. The Left in Europe and America do not like him — but that is the Left. No leader of Israel can lead that nation properly while kowtowing to the dregs of the European Union, the Irish-Welsh Robert (not Beto) O’Rourkes, Elizabeth Warrens, and other sorts who will not even condemn Jew-haters in their own party or show up at an AIPAC conference. Bibi likewise has learned to blow off Jewish self-haters like Bernie Sanders and George Soros, pseudo-Jews like Tom Steyer and Diane Feinstein, and the self-destructing Jewish Left groups like J Street that send thrills up the legs of Washington Post and New York Times columnists and their “journalists” mining for anti-Israel quotes to include in articles. Over the years, the American-educated Netanyahu has figured out that vast numbers of conservative American Christians in certain Catholic and Evangelical communities comprise Israel’s best friends, along with America’s Orthodox Jews, while the other Jews who are in bed with Democrat liberals are a waste of his and Israel’s time. He is correct; they really are. The main opposition to Netanyahu comes from retired General Benny Gantz on the center-left. Gantz has been campaigning on the premise that, as a former military general, he can provide even more expert leadership on security issues. The campaign often has dealt with questions as to how effective a general he actually was — with supporters saying he was excellent and opponents pointing to his several failures. But the real Joker came when it became known that the Iranian Mullahs somehow had hacked Gantz’s smartphone. Can you imagine? The rabidly hateful terror dictatorship that has led the most determined effort to wipe Israel off the map, both in word and deed, hacking the personal data of the guy who promises to show Israel what real security expertise looks like. The news of the Iranian hack led to weeks of widespread specuation about what was on Gantz’s phone. Military secrets? Clandestine codes? Impending plans? Girlfriends? That last concern took on its own life for the married Gantz, even after the wife stood by him, because of concern whether the Iranians have information they can use to blackmail him. Netanyahu has spent the past month masterfully demonstrating the aggregated impact of his years on the world stage. Even as Gantz has promised to forge good relations with America, Netanyahu found himself in Washington, D.C. on the day that President Trump signed his formal declaration that America hereinafter recognizes the Golan Heights as part-and-parcel of Israel. Only days earlier, Secretary of State Mike Pompeo was in Israel, visiting the Western Wall in East Jerusalem accompanied by Bibi, and became the first serving government official in history from any country to visit that holy site while accompanied by an Israeli government official. Then the newly elected President of Brazil, Jair Bolsonaro, came to Israel, visited the Wall accompanied by Netanyahu, and announced that Brazil will be opening its first-ever government office in Jerusalem as a first step towards possibly moving its Israel embassy there. Meanwhile, despite being countermanded by her country’s President, the Romanian Prime Minister, Viorica Dancila, declared that her country will be moving its Israel embassy to Jerusalem. Not a bad final month for Netanyahu as elections loom. Then, less than a week before elections, the entire country was emotionally riveted by news that the body of war hero Zachary Baumel, who had fallen during the 1982 War in Lebanon, had been found in Syria after a 37-year search. Like America’s seven-decades-long determination to bring back to the United States the bodies of war heroes who fell during the Korean War, Israel’s national consciousness does not rest until it recovers all such remains from enemy lands. As the country experienced a deeply emotional national event these past few days during the re-interment of Baumel, word emerged that Russian President Vladimir Putin had played an important role in having his forces, now in Syria, locate and return the remains. Netanyahu was in Russia on Thursday to meet with Putin, thank him — and be photographed with him, further burnishing Bibi’s status on the virtual eve of elections. Because dozens of parties are competing in the race, Israel’s rules disqualify any party that secures less than 3.25% (the “threshold”) of the final vote tally. One party, Moshe Feiglin’s Zehut (Identity) party, was polling below the threshold, destined for oblivion. Feiglin, a former Likud member, advocates very strong lines on responding to Arab terrorism and advocates annexing Judea and Samaria (the “West Bank”) to Israel, as has been done with East Jerusalem and the Golan. 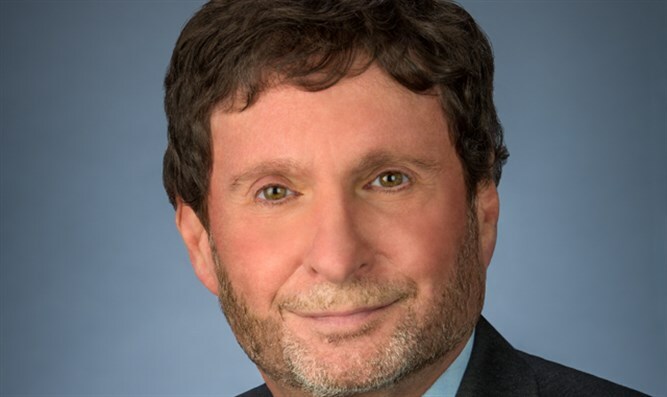 He also is a strong proponent of several libertarian economic principles, wanting to peel away the last vestiges of socialism that dominated Israel particularly from 1948-1977. Even as Israel has moved dramatically towards Western capitalist principles during the past quarter century, an economic earthquake launched by Netanyahu when he served as Israel’s Finance Minister under former Prime Minister Ariel Sharon, vestiges of that swamp remain. Feiglin was polling below the 3.25% threshold. He then began focusing on a less noticed portion of his libertarian-style agenda: legalizing marijuana. For several past election cycles, a marijuana-legalization party, the “Green Leaf Party,” competed haplessly, and its votes regularly were wasted and discarded because they never reached the threshold, even though they offered free marijuana to campaign donors. This time around they did not file papers to compete (possibly having been too stoned to notice the filing deadlines?). Feiglin jumped in and took ownership of weed legalization. Overnight his poll numbers jumped from just below the threshold to above it. If he holds those numbers — and if his voters are not too stoned to miss election day — he could end up with 4-6 seats, which could comprise the balance of power if the rest of the Likud’s religious-right coalition tallies in the range of 57-59 seats, alongside Benny Gantz’s center-left-Arab coalition that might land in those numbers, too. Netanyahu hates Feiglin, and Feiglin hates Netanyahu more. The Haredi “old world” Orthodox parties are opposed to legalizing weed — and they probably will emerge with 11-13 seats. Moreover, not only does Feiglin demand pot legalization, but he also demands the Finance Ministry to implement his libertarian principles. However, Moshe Kahlon, another former Likud Knesset member whose small center-right Kulanu party is running on a conservative platform that focuses on helping the underprivileged and economic lower class, also is demanding the Finance Ministry, and he stands to win either 4 seats or just barely to miss the threshold and get knocked out. Kahlon has promised not to ally with any government that offers Feiglin the Finance Ministry. 4. You Wanna Talk Investigating President Trump? Well, Investigate This! Amid all the other stuff, there are four separate criminal investigations afoot, all aimed at taking down Netanyahu. In one of them, he is accused of helping a rich Israeli, Arnon Milchan, whose Regency Enterprises has produced several successful American movies (including “L.A. Confidential,” “The Revenant,” and “Mr. and Mrs. Smith”) to get back his American visa after Obama and Kerry withdrew it. That is part of what an Israeli Prime Minister does. The accusation is that the rich guy showed his appreciation afterwards by sending Bibi cases of expensive champagne and high-priced cigars valued in excess of $250,000. Bribery? So that is denominated as Case 1000. In another case, Netanyahu is accused of meeting secretly with the publisher of a newspaper that always attacks him and offering to advance a bill in Parliament that would economically hurt one of the competing newspapers if that publisher would change his editorial line. The thing is, when the bill was introduced, Netanyahu and his Likud voted against it, and the bill failed. A third case is a variation on that theme. Several leading neutral legal experts including Prof. Alan Dershowitz have denounced the investigations, explaining that is how politics works and that it is for voters, not the courts, to render judgment. In Israel, instead of a grand jury, the Attorney-General unilaterally conducts an investigation to determine whether anything merits allegations proceeding to trial. In three of the four cases so far (not yet on the submarine), the Attorney-General unilaterally has decided that some allegations may have merit. Under the Israel “indictment” system, the Attorney-General next meets privately with the accused’s legal team to hear their side of the story. If they persuade him to drop it, there is no indictment. If they fail, he reports an indictment. Again, an indictment does not mean guilt — only that there is enough to merit a fair trial rather than just to dismiss the allegations outright. Throughout the campaign, these allegations have been hanging over Netanyahu, as Israelis balance his leadership skills at home and on the world stage, his alleged ethical improprieties, whether they simply feel it is time for a change, and whether any of the opposing candidates would offer the kind of change they would want. In order for Benny Gantz to pose a serious challenge to Netanyahu’s Likud, Gantz had to engage in tons of horse-trading. His newly formed Resilience Party was not faring all that well. Alongside him, retired Gen. Moshe Ya’alon, a former Likud Defense Minister, broke from Likud and formed his own party, Telem, which polled worse than Gantz. The two of them decided to join forces and invited in a third retired general, Gabi Ashkenazi. They still were polling weakly, though better in unison. At that point, they decided to merge with an established center-left opposition party leader, Yair Lapid, a former journalist, TV anchor, and Finance Minister. Together, they finally found a formula that has placed them neck-and-neck with Likud in the polls. However, Lapid would not agree to merge unless the new party would designate him as their candidate for Prime Minister, while the three retired generals insisted instead on Gantz for top spot. In their compromise, they finally agreed that Gantz would be Prime Minister the first two years of the four-year term, with Lapid as Foreign Minister and Ya’alon as Defense Minister. Then, two years later, Lapid would be Prime Minister with Gantz as Defense Minister. In the polling, a goodly chunk of center-left voters for that slate, the “Blue & White” party, would prefer that Gantz be the sole top candidate for all four years, without an alternation at the top. However, the deal to alternate is fixed, and the Tuesday vote will test it. The challenge in Israeli polling is that, almost always, the polls underestimate how well the conservatives of the religious-right will fare. Partly, the Israeli mainstream media is extremely leftist. Partly, the country has a million or so Russian and Ukrainian Jewish émigrés from the former Soviet Union who hate communism ferociously but who are afraid to express their voting intentions to pollsters because of their prior experiences in the U.S.S.R. with Izvestia, Pravda, and the Gulag. Likewise, many other Israelis remember the three decades from the country’s founding in 1948 when the Left socialist Labor Party dominated Israeli life, and they do not trust the leftist mainstream media. By now, it does seems that the Gantz-Lapid “Blue & White” party will land with 30 or so seats, and that the Likud will get 28 or so. The two “old world” Haredi Orthodox parties seem on track to score 11-13 seats, and the more Modern Orthodox Religious Zionist parties along with Bennett’s New Right probably will tally a combined 12 or so seats. So that brings the Likud center-conservative coalition to approximately 50-52 seats. If Liberman’s Russian party gets 4-5 seats, Kahlon’s center-right party for the economic underclass gets 4-5, and if Feiglin’s libertarian-marijuana-Judea and Samaria party gets 4-5, that would give the Likud center-right-religious coalition the clear majority, although it will comprise one mega-headache for Netanyahu to get all those Likud natural allies to join together, given their internal conflicts with each other. For the lion to lie peacefully with the lamb, it normally takes one of two phenomenon: (i) either Messianic times of peace on earth, or (ii) a terrifying forty-day Flood in a Noah’s ark where survival requires getting along “or else.” For the contending parties, the presence of Hamas, Hezbollah, Syria, Iran, and all the Other Lovelies on the borders is at least as compelling a motivator as the Flood for everyone to make nice until one of them brings down the government. But there remains one kicker: Every Israeli national poll typically has a margin-of-error of three percent or so. Remember that any contending party that receives fewer than 3.25% of the total votes is out, and all their votes go down the drain. So if the Liberman party or Kahlon’s or Feiglin’s — all of which now are polling around 4-5 percent — tallies just a bit less well within the margin of error, they will be knocked out of the calculus. While their demise may find other similar parties picking up those lost seats, those seats also may go to the Left, depending on how the numbers shake out. It does seem that Bibi’s Likud may tie or come in second, two seats or so behind Gantz’s Blue & White, but that the combined array of small religious and conservative parties will give the center-right-religious side of the aisle a solid chance to form a governing coalition of 64-66 seats. Nevertheless, that coalition will be wobbly, with too many internal contradictions on nuanced points of difference that ultimately will become exaggerated and intensified as the coalition drags on for two years or so. If Netanyahu ends up getting indicted, the Left obviously will demand his immediate resignation, and his main opponents within his own party, who have been waiting for years to succeed him, will join the chorus, further destabilizng any new shaky coalition.